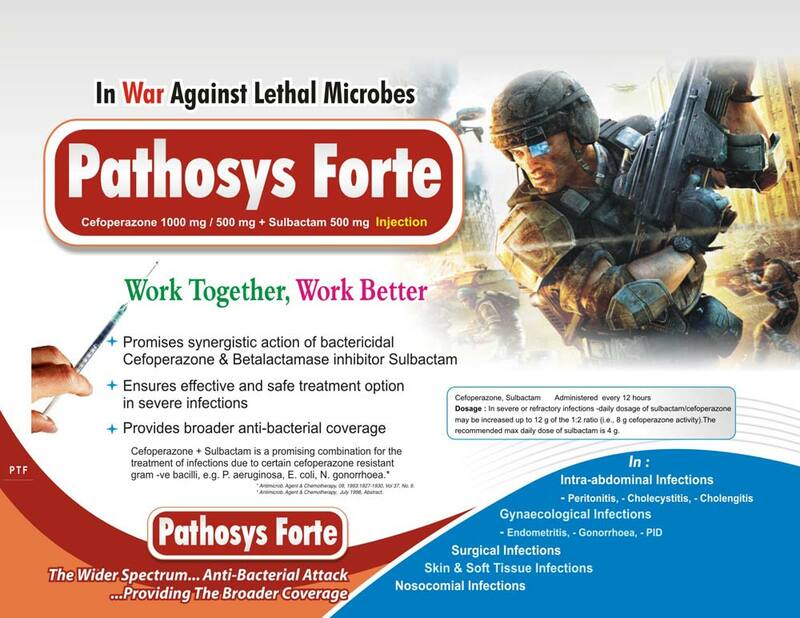 We offer Cefoperazone Sulbactam Injection that is effective against lethal microbes. The Cefoperazone Sulbactam Injection does anti-bacterial attack providing the broader coverage. A ccombination of Cefoperazone 1000 mg / 500 mg + Sulbactam 500 mg, the Cefoperazone Sulbactam Injection is tested for assured results. Cefoperazone + Sulbactam is a promising combination for the treatment of infections due to certain cefoperazone resistant gram – ve bacilli, e.g. P. Aeruginosa, E. Coli, N. Gonorrhoea. Antimicrob. Agent & Chemotherapy, 09, 1993 : 1927-1930, Vol 37, No. 9. Antimicrob, Agent & Chemotherapy, July 1998, Abstract. Dosage : In severe or refractory infections – daily dosage of sulbactam / Cefoperazone may be increased up to 12 g of the 1 :2 ratio (i.e., 8 g cefoperazone activity). The recommended max daily dose of sulbactam is 4 g.